Designs by Helly: . ::Freebie Week...Day 5::. 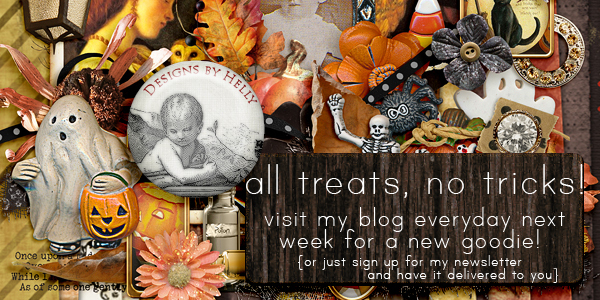 We are almost at the end of freebie week(boo!!! ), with just tomorrow night's giveaway left...and of course, tonight's freebie!! For this one, I wanted to give ya'll something that would match *most* of the other things given out this week, and also would work with most any kind of page. You can download this little mini HERE. If you haven't entered the giveaway yet, scroll down to the post below(or check last night's newsletter). I've been getting some goodies together for it today and it has been a blast!! Hopefully I picked some things that share a little bit about me and things that you will think are awesome too!! This is amazing! Thanks for the beautiful kit. You don't add your TOU in your freebies, where can I read them please? You can find my TOU, love!